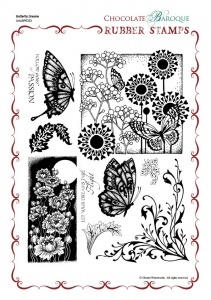 This rubber stamp set contains 8 images and 2 sentiments of butterflies, flowers set against a moonlit background and leaves. There are also two very large images - an ornat corner and a floral square that contains berries, stylised flowers and butterflies. 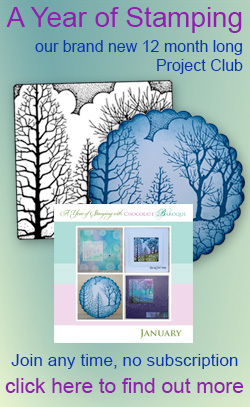 Both of these stamps require a 6" x 6" acrylic block. 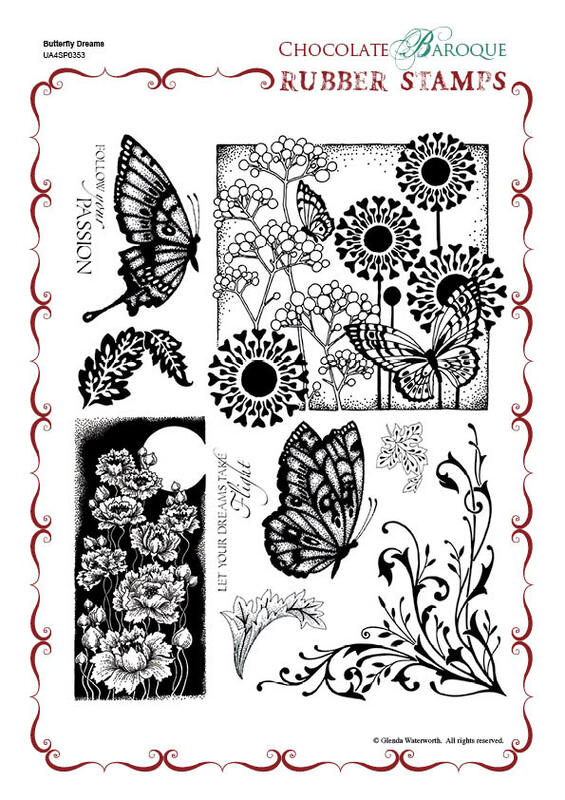 These wonderfully illustrative stamps can work equally well in cardmaking, scrapbooking, altered art, mixed media and journaling. Amazing value for money and glorious artwork, this set will soon become a much loved favourite. This set is a dream to use. I've already made a gorgeous card using the big funky flowers stamp with the large butterfly stamped again & cut out to decoupage. Lovely, clear stamped image. 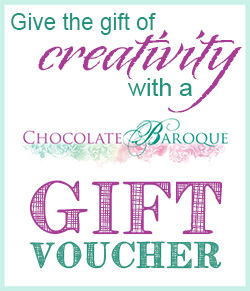 The expected quality from Choc Baroque!